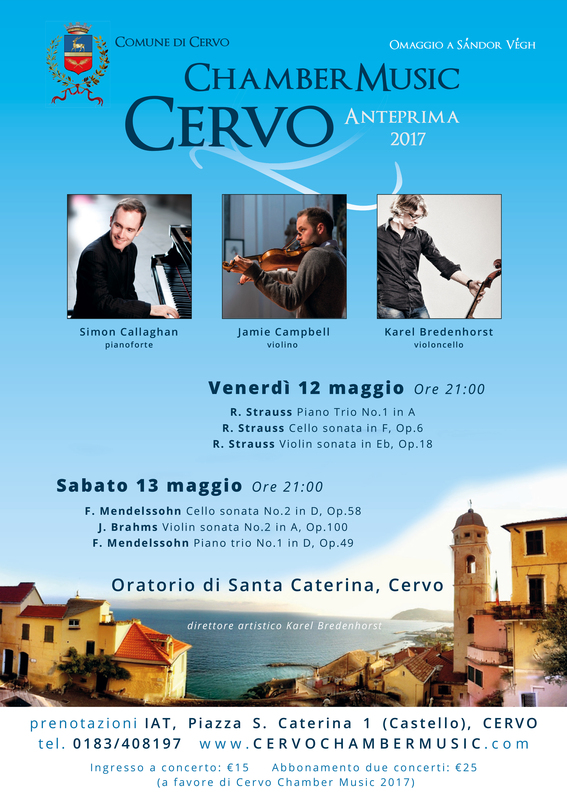 The Anteprima (Pasqua) 2017 is promising to be again a wonderful event. Andreas Rokseth and Karel Bredenhorst are programming an evening with a versatile programme of classical and romantic works. J. Haydn - String quartet in B-flat, Op.76 No.4 - "Sunrise"
L. Beethoven - String Quartet in E min, Op.59 No.2 - "Rasumovsky No.2"
L. Beethoven - 7 Variations on "Bei Männern, welche Liebe fühlen"